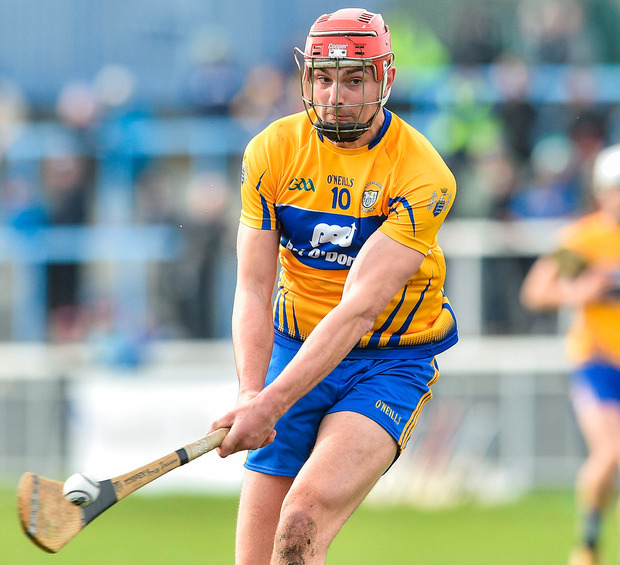 A rampant Waterford drew first blood against Clare ahead of their Munster Championship opener rematch in eight weeks' time as a devastating second-half display saw them advance to the League semi-finals. Eleven points from the unerring Stephen Bennett on the turnover took his overall tally to 16 as the wind-assisted hosts outscored the Banner County by 0-20 to 0-4. Overall, it was a surprisingly bloodless latter period, one that saw the flagging visitors eventually reduced to 13 men. While Waterford were clinically efficient in taking 31 of their 34 scoring opportunities, there was more than a hint of shadow-boxing surrounding their lacklustre opponents, who were made to suffer their heaviest defeat of the season. 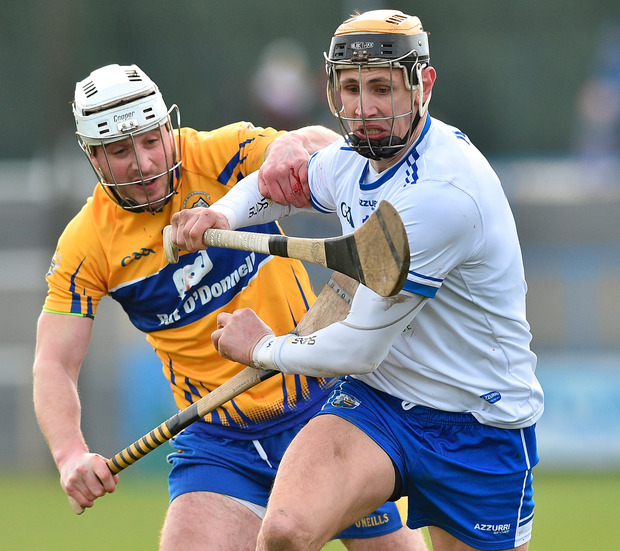 Indeed, while their second-half onslaught was impressive, Waterford laid the foundations for victory in a gritty first half against the strong wind as they matched Clare all the way to only trail by 1-10 to 0-11 by the break. The only goal of the game arrived in the 15th minute when Clare corner-forward Gary Cooney was felled on his way to goal. Peter Duggan stepped up to rifle the resulting penalty past goalkeeper Stephen O'Keeffe to put his side 1-6 to 0-4 clear. Bennett's frees ensured that the Banner couldn't maintain that cushion though, despite Cooney hitting the side-netting with a second goal chance just before the break. However, there was certainly no doubt about where the spoils would be heading on the resumption as Waterford fired the first five points to storm into a lead that they would only extend for the remainder. 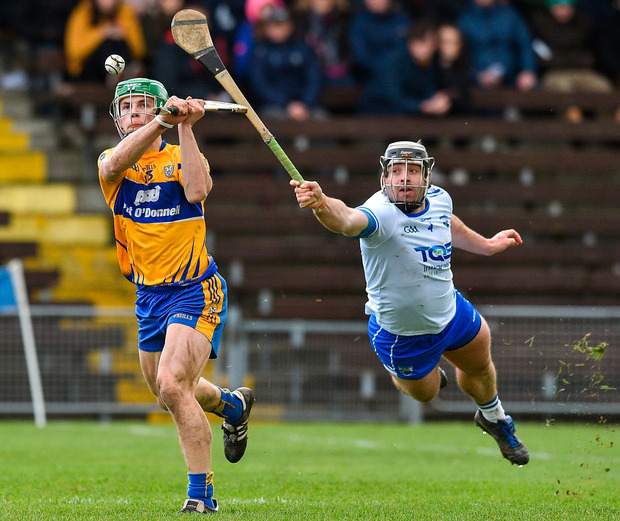 By the time, Bennett had notched up his ninth point of the half in the 58th minute, Waterford were cruising by 0-24 to 1-12, with Clare's afternoon only getting progressively worse when a red card for Conor Cleary was compounded by a second yellow for All-Star Duggan before the finish. By then, Austin Gleeson and Pauric Mahony had piled on the misery on the scoreboard as Waterford hit the 30 point mark in a scoreline that certainly didn't flatter them. That teed up a second meeting with Galway in the space of a fortnight next weekend. Scorers - Waterford: Stephen Bennett 0-16 (14f), Pauric Mahony, A Gleeson 0-5 each, P Hogan 0-2, C Roche, Shane Bennett (s/l), S McNulty 0-1 each. Clare: P Duggan 1-7 (1-0 Pen, 6f, 1/sl); T Kelly 0-3; C Malone 0-2; A Shanagher, A McCarthy 0-1 each. Waterford: S O'Keeffe; Philip Mahony, C Lyons, N Connors; C Roche, K Moran, S McNulty; J Barron, J Prendergast; A Gleeson, M Kearney, Pauric Mahony; P Hogan, Stephen Bennett, Shane Bennett. Subs: C Dunford for Prendergast (57), M Shanahan for Kearney (60), S Roche for Barron (67), DJ Foran for Shane Bennett (67), M Walsh for Gleeson (69). Clare: D Tuohy; J Browne, D McInerney, P O'Connor; C Malone, C Cleary, S Morey; S Golden, C Galvin; P Duggan, T Kelly, A McCarthy; G Cooney, A Shanagher, P Collins. Subs: R Taylor for Golden (ht), D Fitzgerald for Morey (45), D Ryan for Galvin (52), C Guilfoyle for Shanagher (55), J McCarthy for Collins (59).